Description: NeedMag Blogger Templates is a simple Magazine Blogger Template with great features like rich colour combination, user friendly, fast-loading. 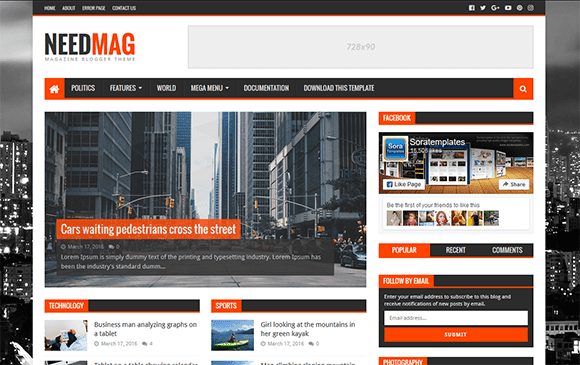 NeedMag Blogger Template is perfect for modern blogger news, newspaper, magazine, blog, video and publishing Blogger Theme Sites. This theme is fully responsive, fits any size of display from lower to higher resolutions and supports all modern browsers. NeedMag Blogger Template is SEO-ready and provides a great platform to achieve super high search engine rankings for your website.